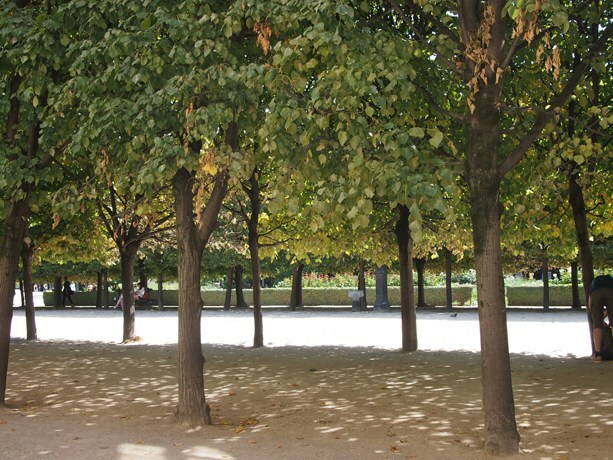 Every time I arrive in Paris I agree with Audrey Hepburn and her character from the film Sabrina when she declares, ‘Paris is always a good idea’ – last week the City was still enjoying very warm temperatures, beautiful blue skies and plenty of bright sunshine. Paris Design Week is an international platform organised across central Paris including art galleries, museums, concept stores, hotels and restaurants, it is a week long itinerary which allows the general public to discover the year’s newest talent covering everything from contemporary home design, fashion, art and gastronomy – it is a very enjoyable time to be in Paris with much opportunity to meet and speak with the young designers and artists and to see their work. Last week I had the opportunity to visit one of my favourite candle boutiques, Quintessence and to catch up on their new launches. This family run company are one of the most experienced scented candle designers and creators in France, as well as their own luxury candle collection they also design and create candles for other well known brands and private customers. Quintessence has recently collaborated with Manuela Paul-Cavallier, an artist specialising in gold leaf design, Manuela learnt and perfected her art in Florence and has spent 25 years as a craftsman gilder which has allowed her to deepen her knowledge of the ancient art of Italian and French gilding. 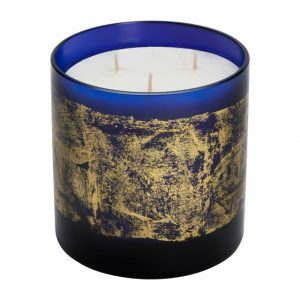 The collaboration between the company and Manuela has produced a sapphire blue candle glass beautifully decorated in gold leaf. The candle is fragranced with notes of Bergamot, Chataigne (Chestnut) Ceder, Gaiac, Amber, Vanille and Leather and will be available as a limited edition from October at their boutique on rue du Bac. Quintessence will be launching their limited edition Christmas candle, Angelys, also in October. The candle is an Ambery fruity spicy melange of Caramelized pear, Vanilla, Cinnamon, Clove, Rose, Honey, Bergamot, Patchouli and Benzoin. Apogee – is a light, radiant lily-of-the-valley fragrance enlaced with petals of Jasmine, Magnolia and Rose, the base of Sandalwood essence and smoky Guaiac wood supports this gentle and ethereal perfume. Turbulences – is a Tuberose fragrance with Jasmine Grandiflorum, Jasmine Sambac and May Rose – the perfume pays tribute to this most narcotic of flowers, here it fuses smoothly with the very precious petals of Jasmine and Rose May, a touch of leather and the scent becomes quite delicious. 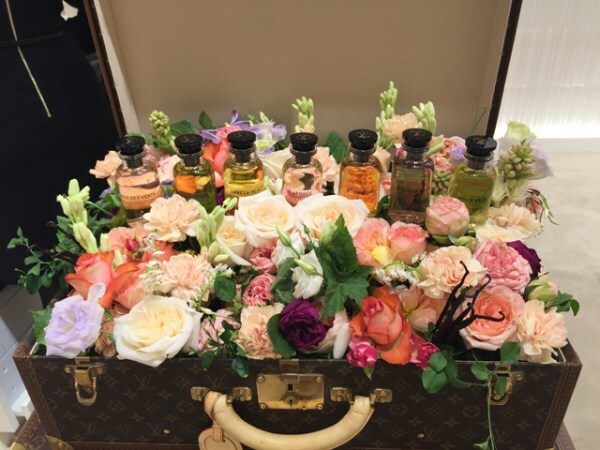 Contre Moi – I was particularly looking forward to discovering this fragrance, I am always drawn to vanilla scents and I was not sure what to expect from L.V. The fragrance is composed of an infusion of Vanilla from Madagascar, essence of Vanilla from Madagascar, Tahitensis Vanilla, Orange Blossom, Rose Centifolia and essence of Magnolia. Jacques Cavallier Belletrud is quoted as being ever fascinated by Vanilla, here he has transported it to unchartered territory by giving it unprecedented freshness.